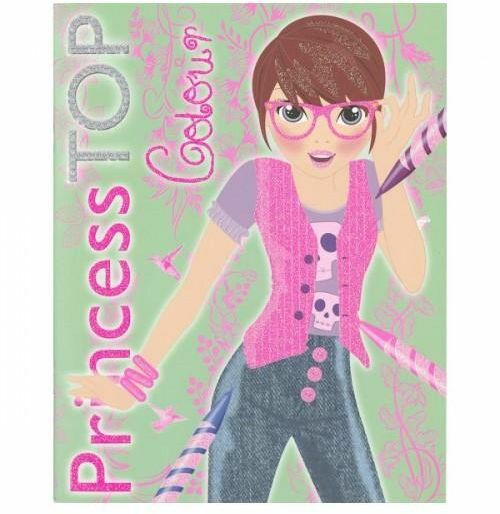 Princess Top Colour Book 3 - third book in a series of 4. 24 pages of dolls to colour and customise. Soft cover with matt lamination and glitter. Not suitable for children under the age of 36 months without adult supervision. A great coloring book to suit your taste or following the models. Develop your creativity and design your own fashion.